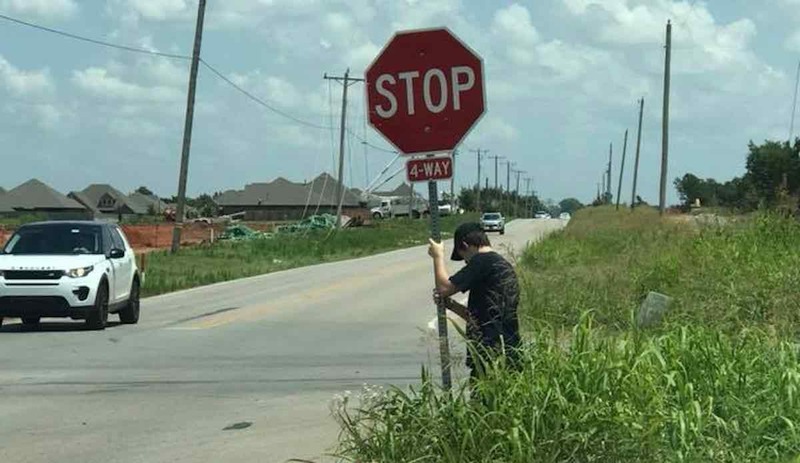 A young man is being hailed for keeping the community safe last week when he was spotted holding up a broken stop sign in sizzling temperatures. Randy Jones had been putting up warning markers for new highway construction in Oklahoma City when he saw Logan Duncan standing in the heat with sign in hand. When Jones stopped to ask what the youth was doing, Logan said that he had been driving down the road when he noticed that someone had run over the stop sign at the intersection. Not only that, he witnessed what could have been a dangerous car collision because of the sign’s absence.